For three days the artisanal bottegas and workshops around Europe will open their doors to all visitors to illustrate their production techniques and the great mastery that characterizes all the artisanal crafts, a unique material and human heritage that must be spread, preserved and known. In Tuscany, after the great success of the 2016 edition, also this edition will highlight the themes of training, of transmitting the artistic crafts and of the employment of young people. 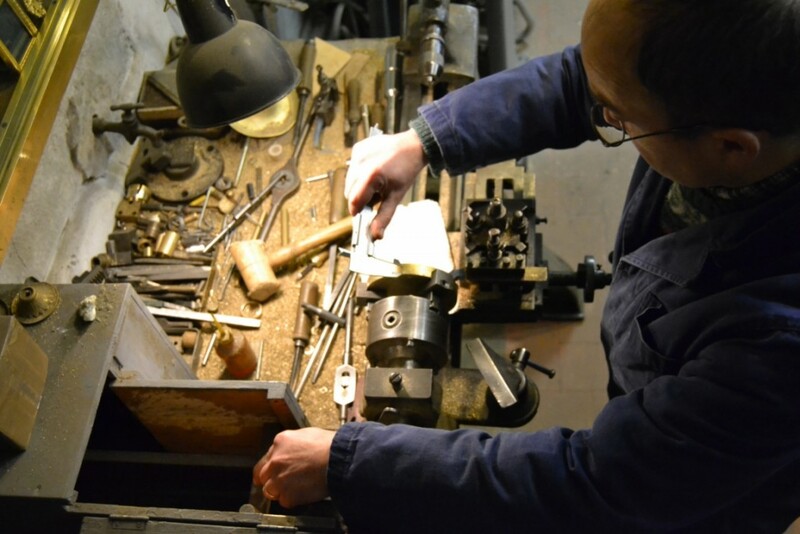 Schools, worksops, Master Artisans and Workshop-Schools of Tuscany will visit the bottegas of the Master Artisans for an open weekend devote to the technical-artisanal training. A unique educational opportunity, where small practical workshops, exhibitions and demonstrations will actively engage all visitors. 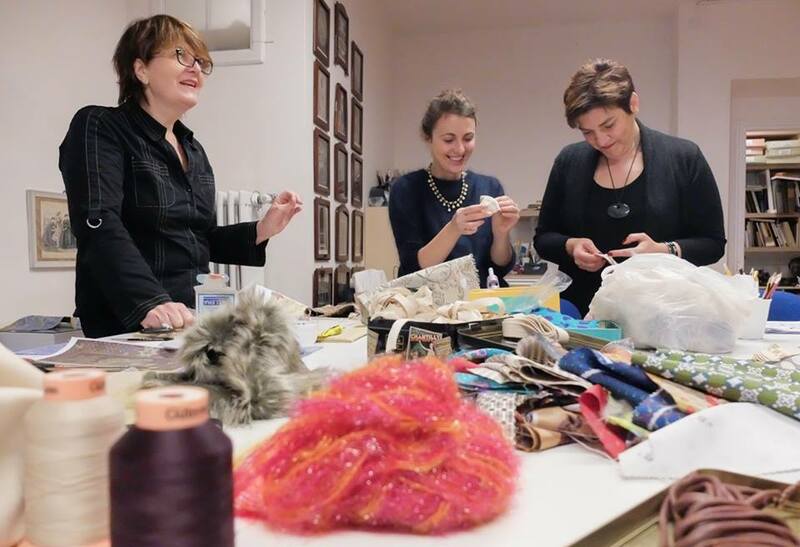 The event is organized by Artex – “Centro per l’Artigianato Artistico e Tradizionale della Toscana” and the Association OmA, in cooperation with Institut National des Metiers d’Art di Parigi. The participation to the workshop grants school credits to high school students. Max. 6 participants each meeting. Hours: Friday 11.00-13.00; 16.00-18.00; Saturday 11.00-13.00; 16.00-18.00. Today the firm is lead with passion by Duccio, Lamberto’s son, bronze caster artisan, specializing in making small furnishing and decorative objects created with personalized craftsmanship. The bottega, still furnished with the period pieces of the original workshop, also performs restoration of old objects. A rare example of craft handed down from master to pupil in one of the oldest Florentine artisanal bottegas. During the visit you will be able to follow all the phases of production of the objects from their creation to the finished product. For groups of maximum 10 people. Days: March 31 and April 1. Sunday April 2 only with a reservation. Bianco Bianchi began his activity when he opened a workshop in the sixties. 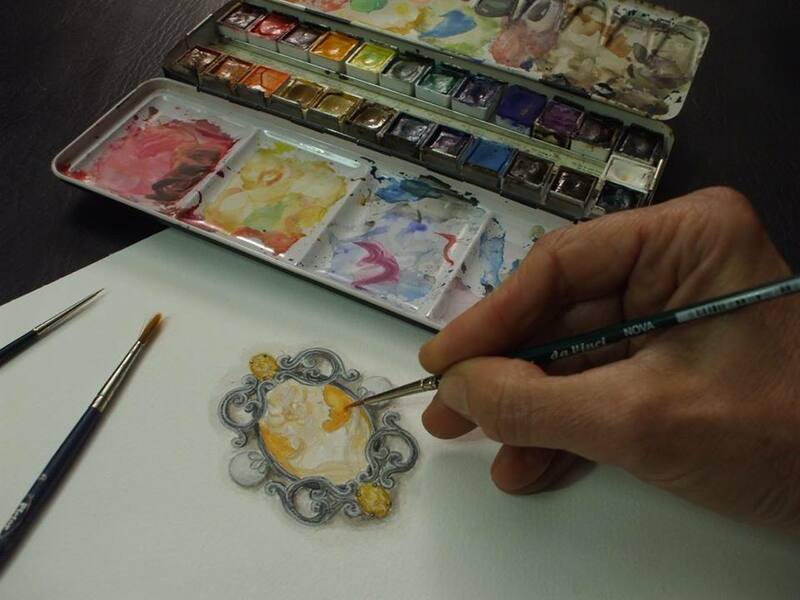 His children, Alessandro and Elisabetta, driven by the same passion as their father and by a restless spirit of research, create scagliola artifacts of modern and traditional inspiration using entirely manual techniques. All the phases of workmanship are performed with great care, from the creation of the preparatory designs to the final polishing. The production consists of table-tops, panels, pictures, frames, and various decor elements and accessories. The workshop collaborates with famous architects, and can also create customized items specially designed to meet the requirements of the ambience to which they are destined. 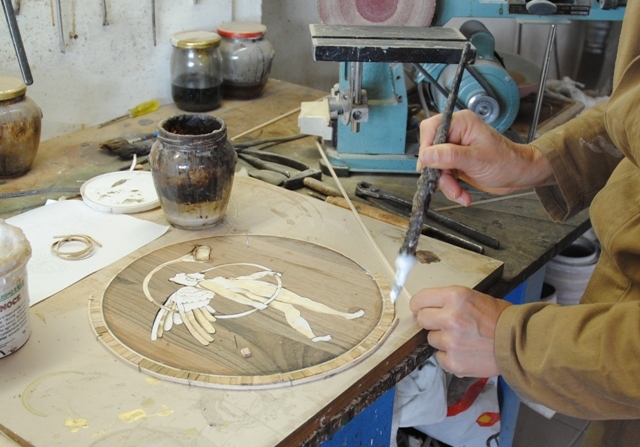 The technique, experience and creative capacities, the skill in design, the sophisticated elegance of the decorations and the harmonious choice of colours make the Bianchi’s scagliola work truly unique, worthy illustrations of an art that has been perpetuated down to, our own times. The workshop also deals with restoration and collaborates with museums, collectors, antiquarians and the fine art commissions. During the visit, there will be a presentation of all the phases of production and it will be possible to admire parto of the museum colleciotn of the Bianchi family. Available for groups of maximum 15 people. During the visit it will be possible to admire the museum collection of the Bianci family. To the visitors it will also be presented a history of the “scagliola” technique.. Available for groups of maximum 1o people. Filistrucchi, the most ancient store in Florence, has been passed down from father to son since 1720. This was the era when wigs were habitually used by the noble gentlemen, ladies, knights and even servants. At the same time, the need to “transform” oneself for the stage gave the shop a large theatrical clientele. Manufacturer of wigs, beards, moustaches, hairpieces and other accessories, all from natural hair. Masks and prosthetics in foam latex, silicone and papier-mâché, for theatre, film, television, and all sectors of the entertainment and fashion. Also available, a Mobile Makeup Team to meet every need of the entertainment world and beyond. The ancient family craft of parruccaio (wig-maker), combined with the ever evolving makeup techniques, in today’s age of massification will offer you the products of the finest and unique craftsmanship. During the European Artistic Crafts Days, Handicraft Maestro Gherardo Filistrucchi will organize a mini-workshop of theather make-up for maximum 8 people. Lao offers the possibility to attend workshops of jewellery, setting, technical drawing and design, jewellery engraving from 10 to 12 of friday March 31. 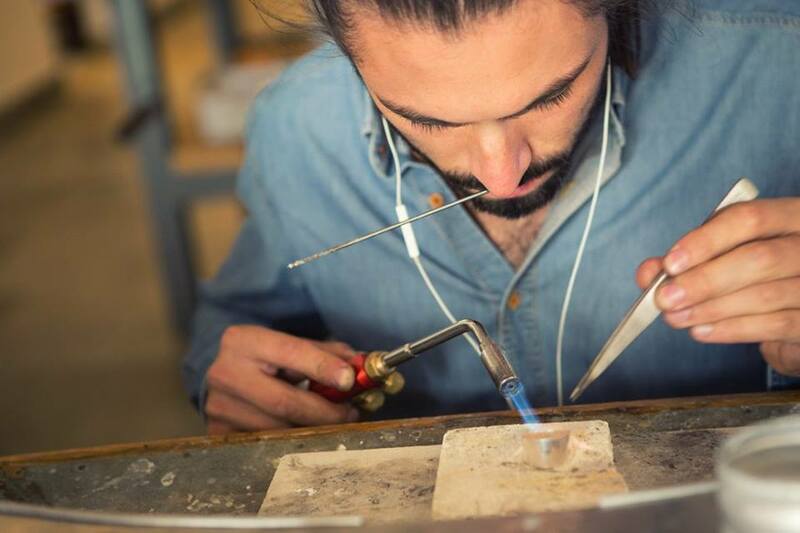 In the afternoon, from 3 to 5 PM there will be the the possibility to attend a goldsmithing workshop, wax casting, drawing and design, jewellery engraving. Available to groups of maximum 12 people. 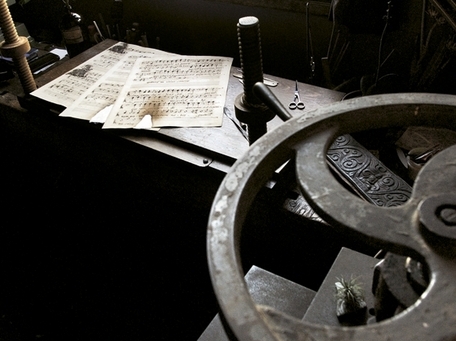 The Incunabolo is a workshop devoted to the restoration of ancient books and of artistic book-binding. During the visit the participants will be given an introduction to the world of restoration of manuscripts, of paper and scrolls. The visitors will also be able to participate in a practical exercise of restoration of faults in paper and scrolls. There will also be a demonstration of the various types of sawing and binding. Microfficina is not just a workshop, but a small studio/gallery as well located in the historic center of Florence that produces and sells contemporary and innovative jewellery. 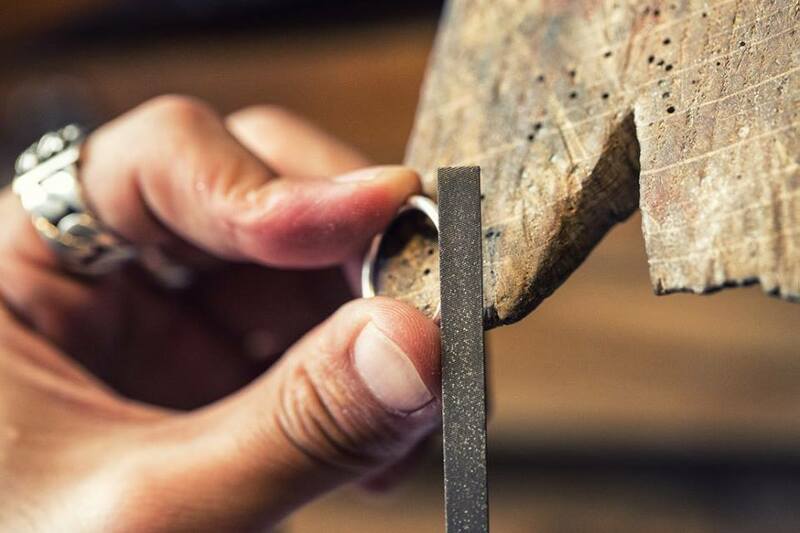 The materials used together with gold and silver are not only the ones traditionally used in jewellers, but also iron, plastic, wood and all that gets the creativity of the artist going. One of a kind pieces or small collections, all created using ancient techniques, modern technologies and above all passion and careful experimentation. During the visit there will be a demonstration of the fusion with cuttlebone and of the bench craftsmanship. Master Goldsmith Paolo Penko in his bottega in the heart of Florence, just steps from the Duomo, together with his wife Beatrice, an expert gemmologist, and his son Alessandro, creates unique jewels, completely hand made, following the ancient techniques of the Florentine goldsmithing tradition. Unique and recognizable, Penko’s style succeeds in harmoniously combining the beauty and quality of the raw materials with the charm of the references to shapes and symbols of the Florentine painting and architecture. 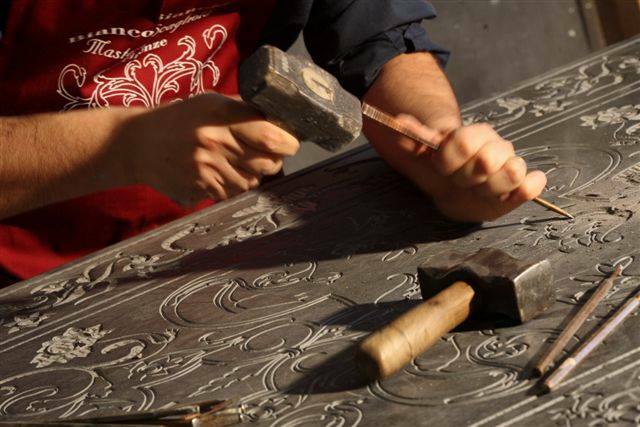 To all participants will be given a demonstration of the ancient techniques used to create a jewel: fretwork, burin engraving, in the same manner in which the Florin coin was made in 1252. Available for groups maximum 15 people. Mastro Artigiano Ombretta Maffei’s life has been devote to the creation and realization of tailored models. A passion cultivated since adolescence and a will that lead to opening her taylor shop in 1978, where she makes clothing for every occasion, interpreting the taste and the need of each client, suggesting styles, fabrics, colors and the right tones to create elegant dresses, formal, romantic but also sporty, always using prestigious and high fashion fabrics of natural fibers, never overlooking the details, according to the traditional tailoring techniques. 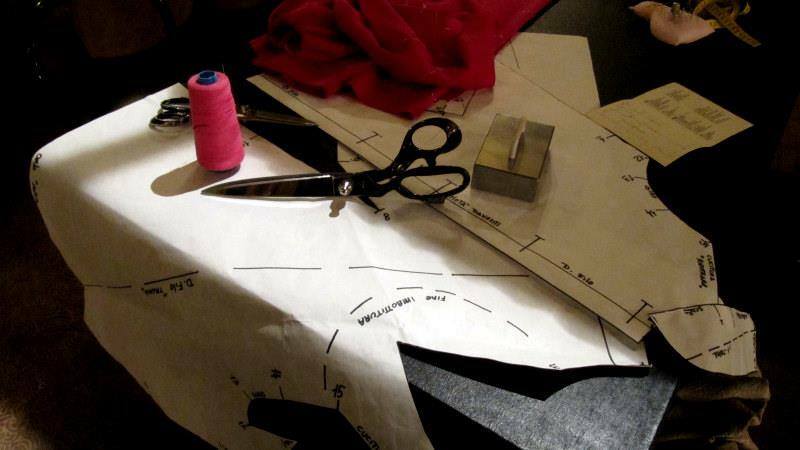 During the visit there will be a demonstration of all the phases of making a finished garment: from cutting to finishing, all handmade. The demonstration will last approximately 2 hours. Available to groups of maximum 6 people. This ancient Florentine shop was funded in 1857 and it mainly offered plaster and terracotta items for the garden. Valentino Adami and his wife Antonella Chini Adami bought this business after the flood of 1966. 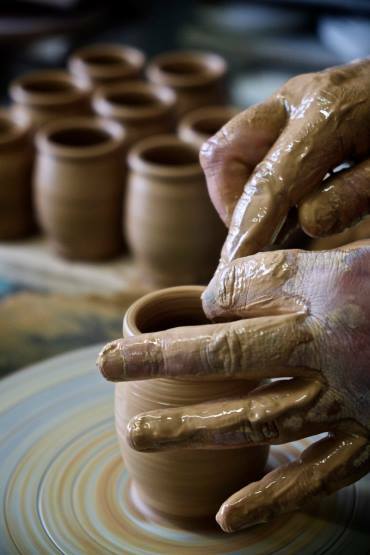 Ceramics gradually became the product that still now characterises this business. The different aspects of the activity are managed completely by the Adami family. Valentino besides preparing the furnace takes care of the commercial aspect of the shop with the assistance also of his daughter Chiara who handles the contacts with the Italian and foreign customers. Antonella, descendent of a famous family of ceramists, is the daughter of Tito Chini. Since a very young age she attended ceramics courses in Faenza. In 1970 she started production directly in the workshop within the shop. Her décors draw inspiration above all from ancient Tuscan models. The daughter Lorenza, who together with her mother, started a production of dinnerware and furnishing objects, started her career doing the turning wheel and decorations. Since 1996 she has been working in the family shop and in the same year she opened another workshop, in via Camaldoli, Florence, always belonging to Sbigoli Terrecotte, of which she handles the production. During the guided visits to the workshop, it will be possible to meet the artisans at work and there will be an explanation of the main phases of the decoration of ceramics. Available to groups of maximum 15 people. An artisan’s bottega in the heart of Florence where the tradition of the semi-precious stone mosaic, started in the Renaissance, is continued. An art gallery with works that are entirely made by the hands of masters Renzo and Leonardo Scarpelli. During the visit there will be a demonstration of the techniques of the Florentine commesso. 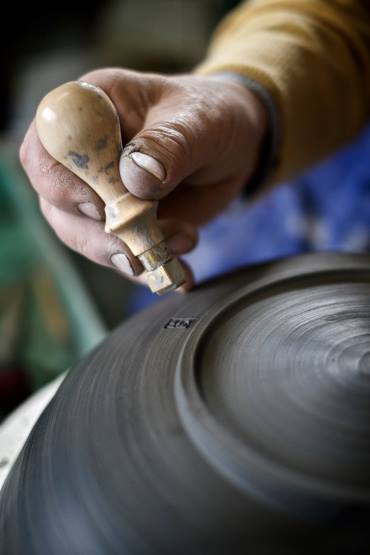 Master Artisans Sandra and Stefano Giusti began working with ceramics in 1980 in Florence. In 1989 they opened a workshop in Paterno di Pelago, on the hills around Florence. 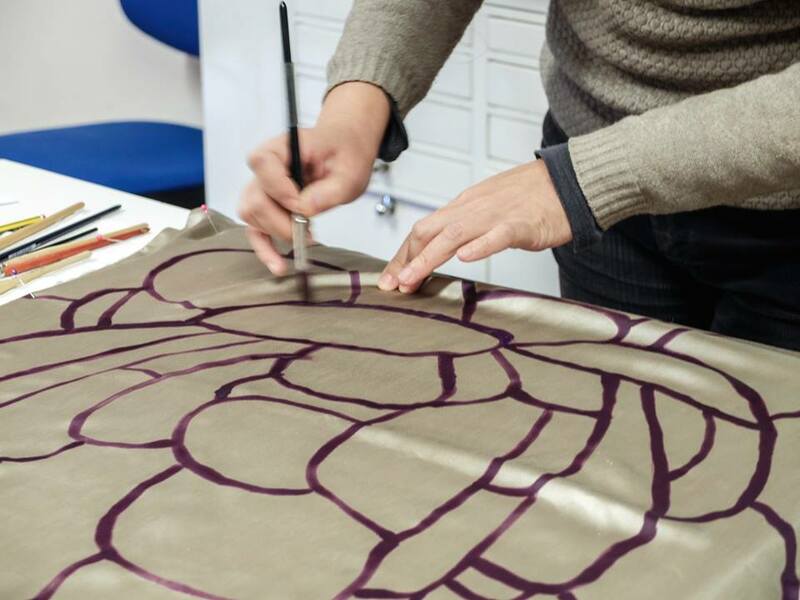 The production is focused particularly on objects of everyday use, where the values of tradition are perfectly blended with a contemporary language. Along with creating objects, they also teach lessons, both at their own studio and at private and public establishments in the area. 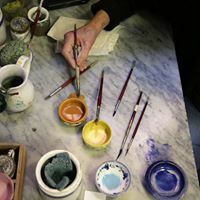 During the visit, there will be a demonstration of the production techniques following all the phases of ceramic art production: shaping and turning, the various types of firing (majolica, raku, grès) the study and application of the enamels, the decoration, the finishing. The demonstration will last one hour. 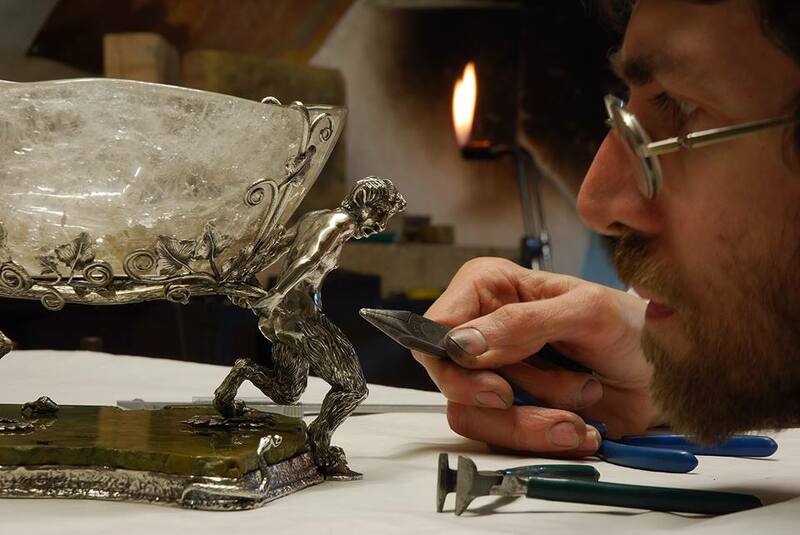 Tommaso Pestelli is the latest heir of a family of goldsmith-jewellers which has been active in Florence since 1908, in the person of his great-grandfather Edoardo. His professional training took place in the family workshop, under the guidance of his father Luigi and the master Tonino Batacchi, where he studied and elaborated the Florentine jewellery tradition. He studied at the State Art Institute of Porta Romana in Florence, at the Accademia di Belle Arti in Florence, where he obtained a diploma in sculpture, and finally at the Opificio delle Pietre Dure, where he qualified as a restorer in the sector of glyptics and the goldsmith’s art. Thanks to such experiences, he was able to evolve his own personal style, an expression of tradition in the expert choice of the materials and their workmanship, and also of formal research in the study of the concept of the object itself. Tommaso Pestelli now creates the most surprising furnishing accessories, made of gold, silver and precious stones; these are works that are absolutely unique, inspired by the taste and the atmosphere of the past and superbly suited to an exclusive, modern Wunderkammer. 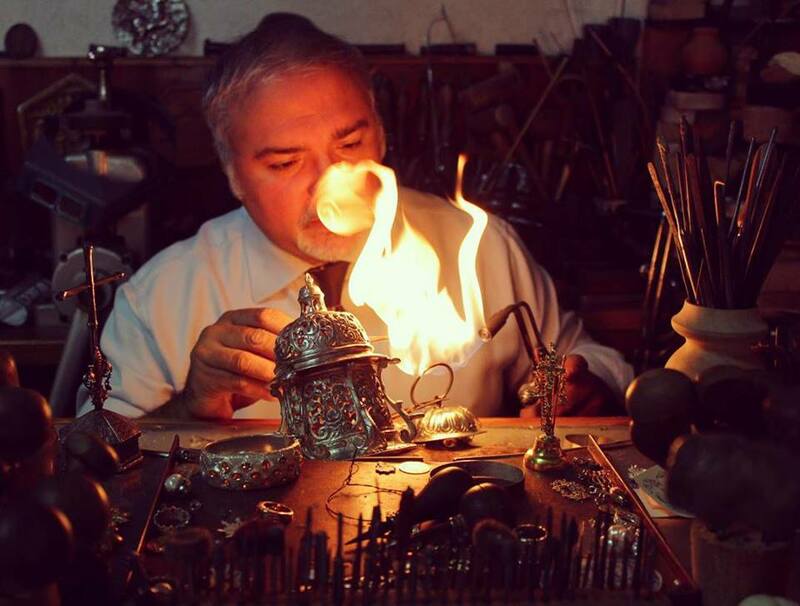 In his workshop he creates sophisticated jewels, and also performs restoration for the Fine Art Commission. 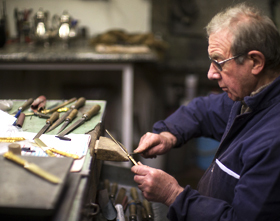 Master Artisan Mastro Santi Del Sere, craftsman since 1989, after having trained and obtained a diploma from the State Institute of Art of Anghiari in woodworking and the restoration of antique furniture, set up one of the most lively and well-qualified workshops of the Upper Tiber valley. 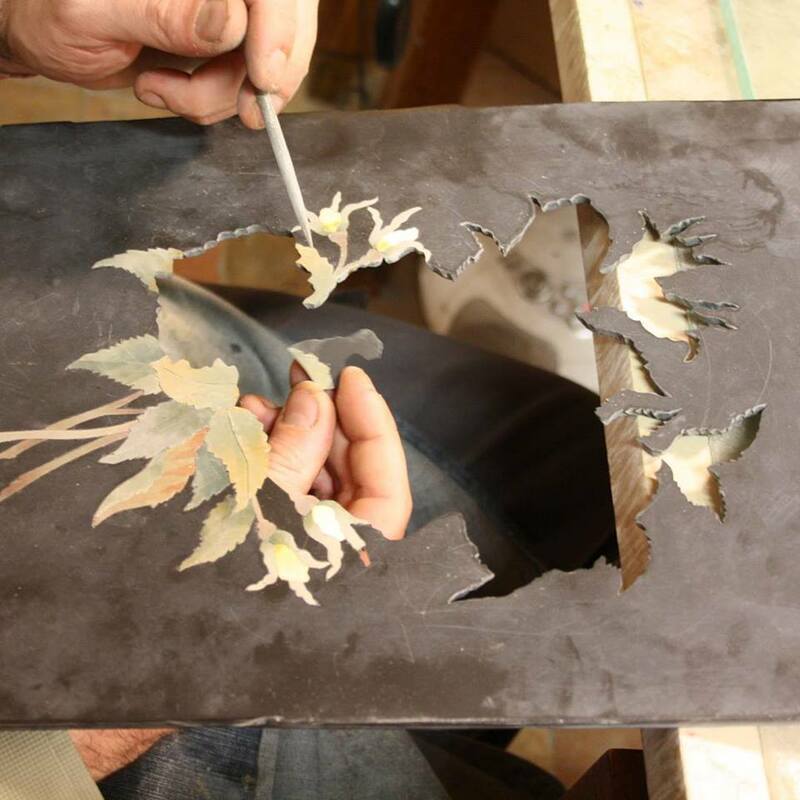 Mastro Santi carries out his eclectic activity in his workshop, from which we can admire an enchanting view of the mediaeval town centre of Anghiari, dealing above all with the creation of furnishings inspired by ancient illustrations which he then interprets with his own personal design. A sensitive restorer of antique pieces and a consummate master of the techniques of marquetry and carving, he pursues new and highly personal paths of artistic research which materialise in the original application of techniques of an ancient flavour with expressive concepts that are absolutely modern. During the visit there will be a demonstration of the disciplines of woodworking, like carving and marquetry, and of furniture restoration. The demostration will last about one hour. In her workshop in Leghorn, StudioZero – Glass, Caterina Zucchi designs and makes Murano glass jewellery using the torch or flame work technique. In 1999 she attended a glass and Tiffany technique course at the Institute “Atelier of Arts” of Livorno. She continued her way to Bolzano and Venice where she elaborated the glass work techniques, including the Venetian pearl work; in the meantime she obtained his diploma as “Expert in Glass work Techniques”. The technique mainly used in her creations is that of flame pearl work. Caterina Zucchi loves the details, the research of unusual forms, the combination of different colours and materials, astonishing pieces are born from here, mixing Murano glass with cotton, wool, fabrics and metals. The participants to the visits will be able to discover how the glass elements are created that become accessories to be worn. Available to host groups of maximum 10 People. The firm was born in 1991 and has worked with artistic cast iron like in the Medieval tradition since the start. Their strength is in their versatility that allows them to perform all kinds of productions, even the most specific. 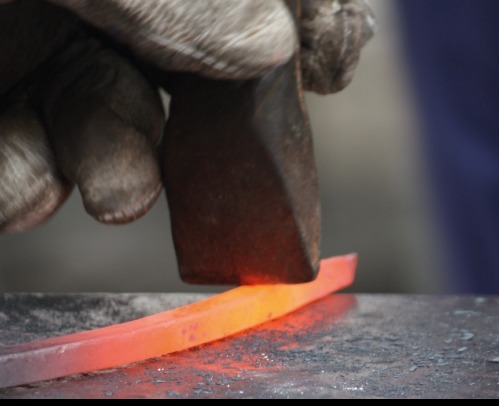 Each work is thought and loved from the start, from the first sketch to the production phase, strictly handmade, using hammer and anvil, especially forged and built for any type of production, as in the best tradition. This allows for the best quality. “Learning how to make jewelry” has always been one of Sandra Ugolini and Arianna Celleno’s childhood dreams. After having acquired the technique and manual skills, their wish became reality with the founding of the Atelier Il Carato. A creative journey that brought them to design jewels with a strong identity: enhanced volumes, stimulating chromatic effects and the pairing of rare gems with a variety of semi-precious stones, corals and pearls, the product of a personal research through their frequent travels to Brazil, Africa, and India. 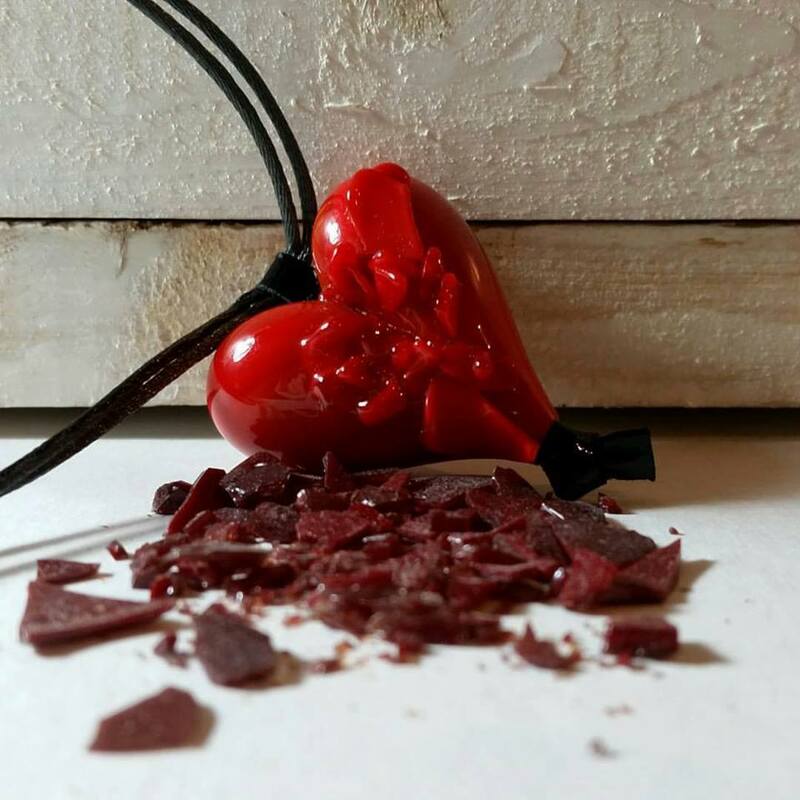 Their inspiration comes from nature, and has a clearinfluence ontheir main production ofjewelry, but it also affects their home furnishings, made with recycled materials, andassembled with the eclectic refinement of someone who has always been creating jewelry. During the visit an explanation will be given on how a jewel is born, from the initial idea to how it is given shape, therefore the importance of desiging. 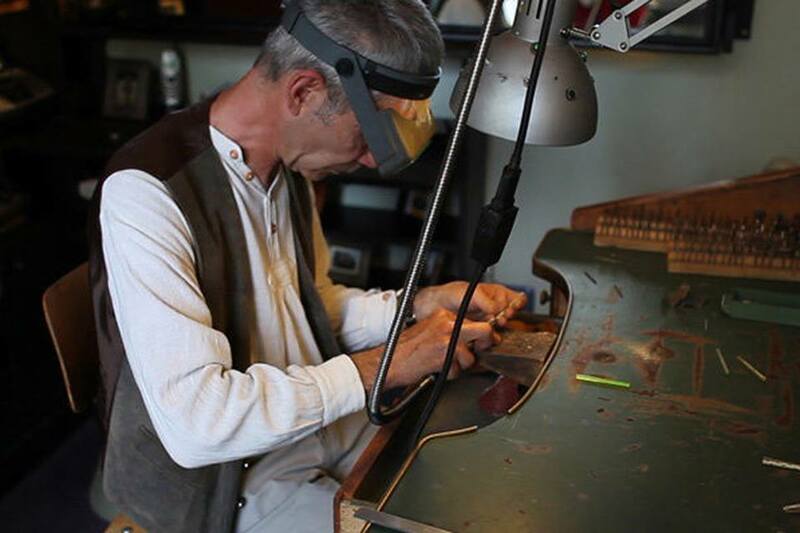 There will be an demonstration of the goldsmithing techniques and a chance will be given to participants to make their own artifact with the fretwork tecnique. Available to host groups of maximum 6 people. Days: Friday March 31, available to meet with the students. Sunday April 2 at Il Carato there will be a workshop on stringing from 9:30 to 6:00 PMè previsto un corso di infilatura dalle ore 9,30 alle 18,00. The participants are invited for lunch. The workshop will have an introduction dealing with freshwater, Japanes, Australian, Tahitian pearls and the students will be able to see them and compare their features. To follow there will be the stringing without knots and then with knots of a bracelet with a silver clasp. The students will say good-bye with their work on their arm.